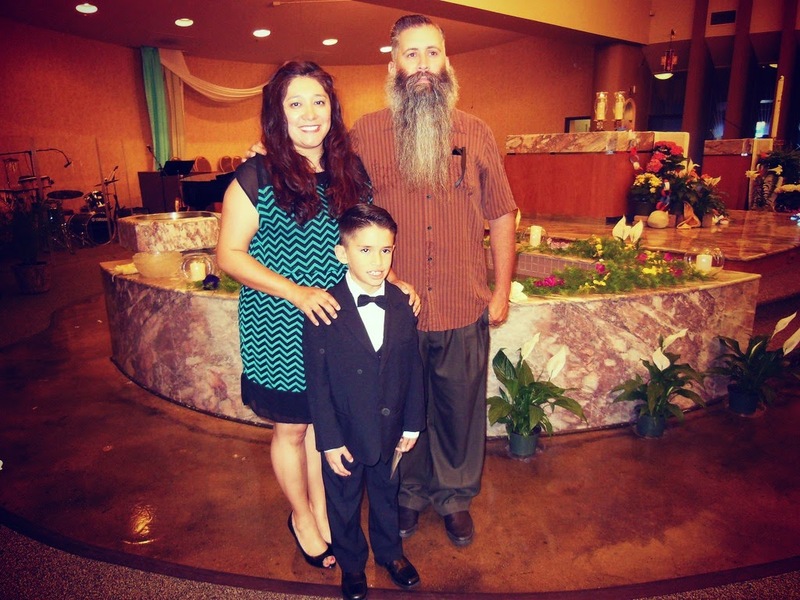 Over the weekend we were very honored to become godparents to our nephew Felix when he made his 1st Communion. He got to wear the super cool suit that we bought him. He looked so handsome and he did a great job at mass. 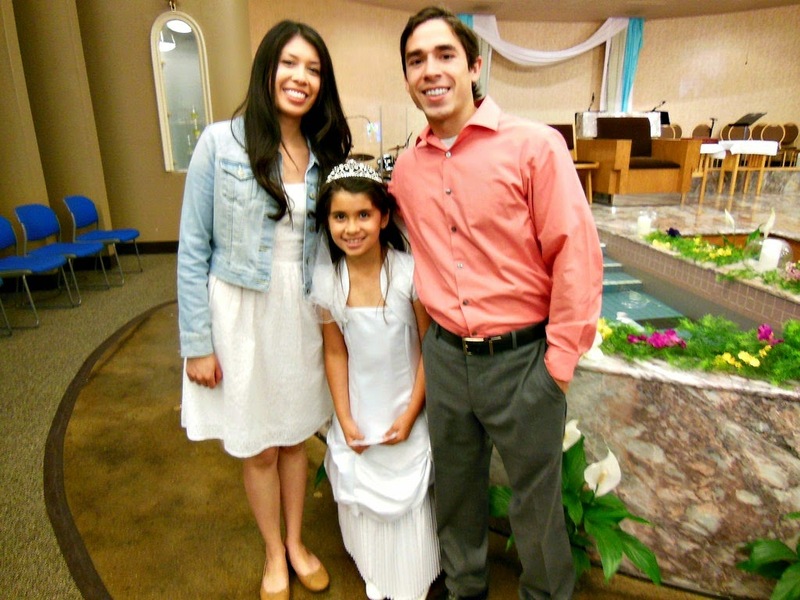 Of course Miss Lili also made her 1st Communion and Elaine and Kelly were the lucky godparents. Lili's dress was gorgeous complete with a little satin jacket and tiara with veil! 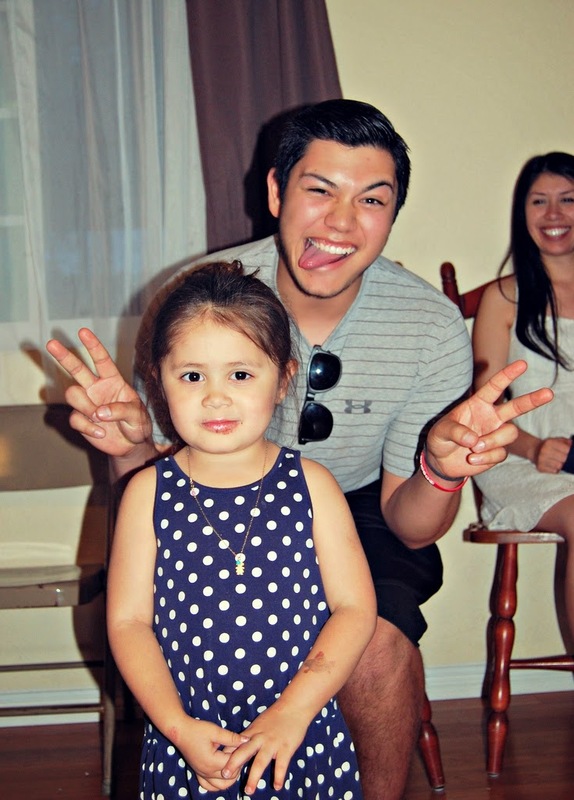 After the mass we headed down to Cari's house to get ready for the big party! 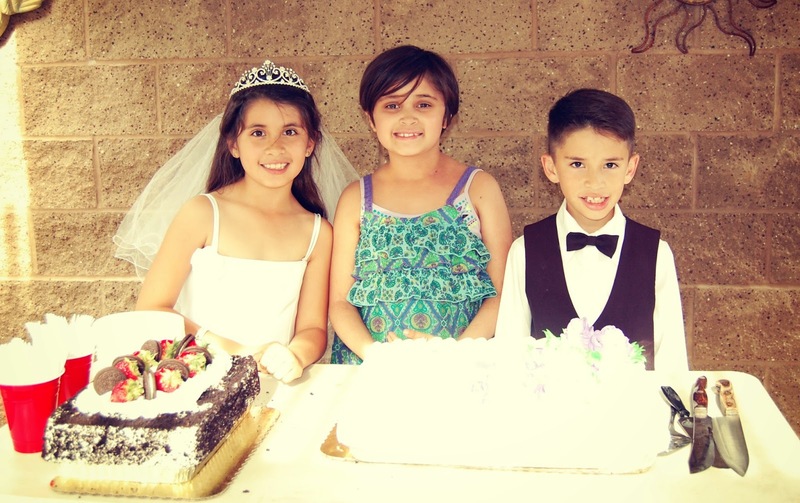 Since Felix, Lili and Phi are making their 1st Communions this month we decided to have one big family party. 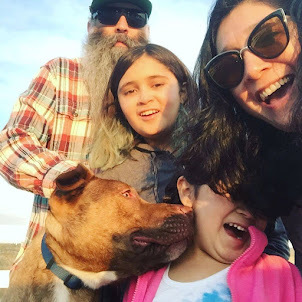 We had a taco guy (well girl really) and lots of yummy desserts. 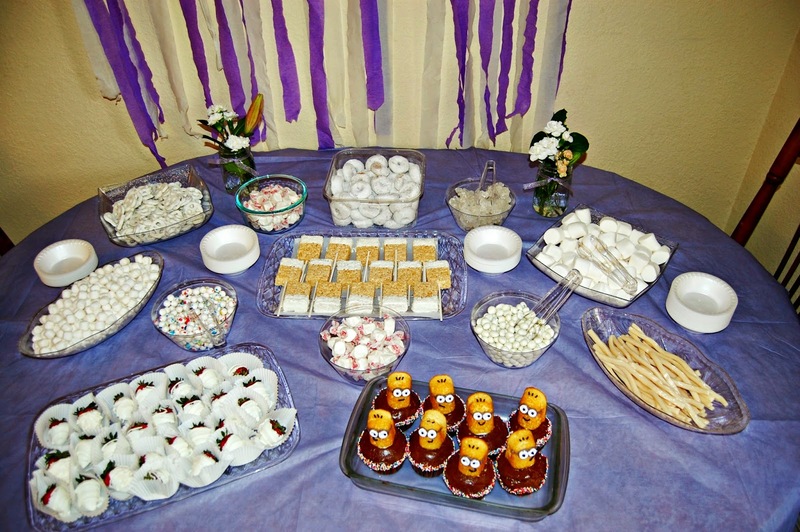 My sister had the great idea to have all white desserts for the table. My sister also got all pinterest-y on the decorations. 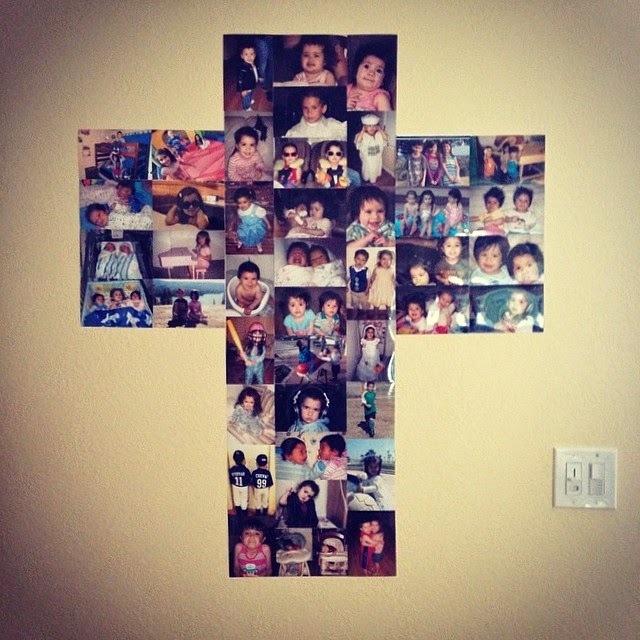 How cute is this cross made out of pics of the kids? How grown-up are these kids? 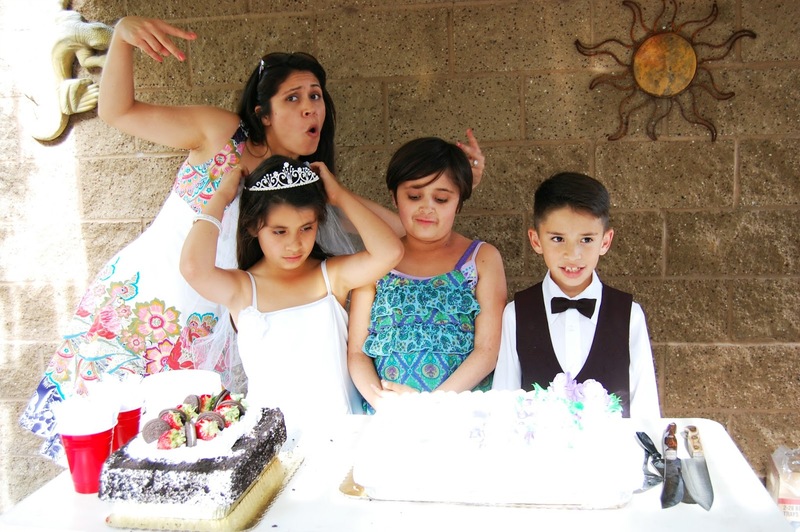 And Cari always with the photo bomb. 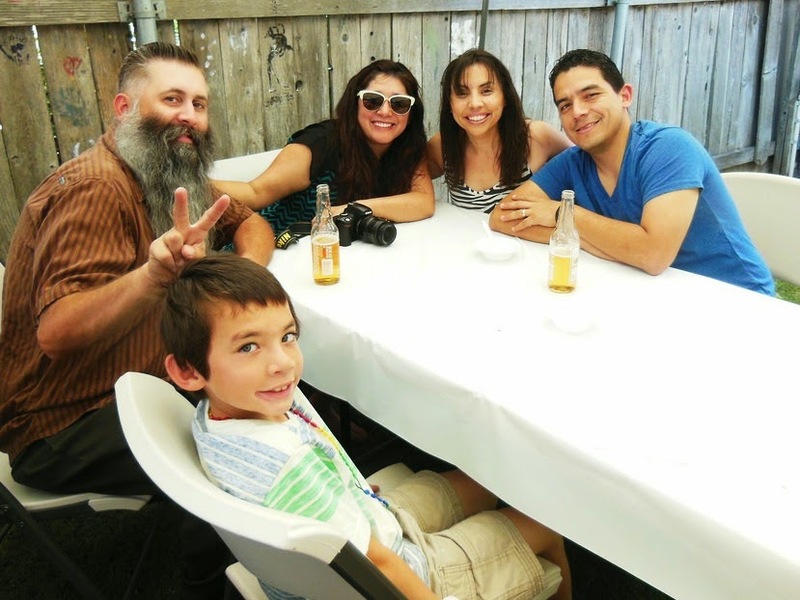 We were very happy to spend some time with our compadres! Our family was very generous and the kids got a lot of cool gifts. 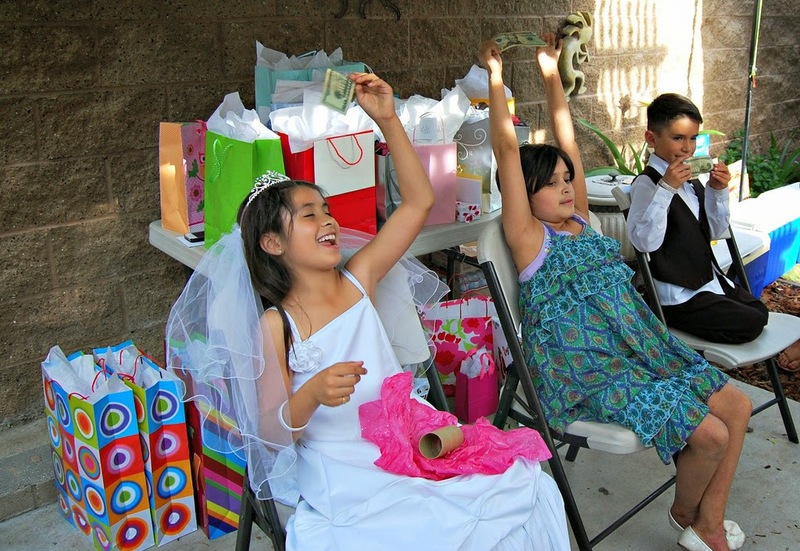 As you can tell the cash was a hit. And of course my Mom's cards are all ways a hit! Now when we took Felix shopping for his outfit we asked him what he wanted. 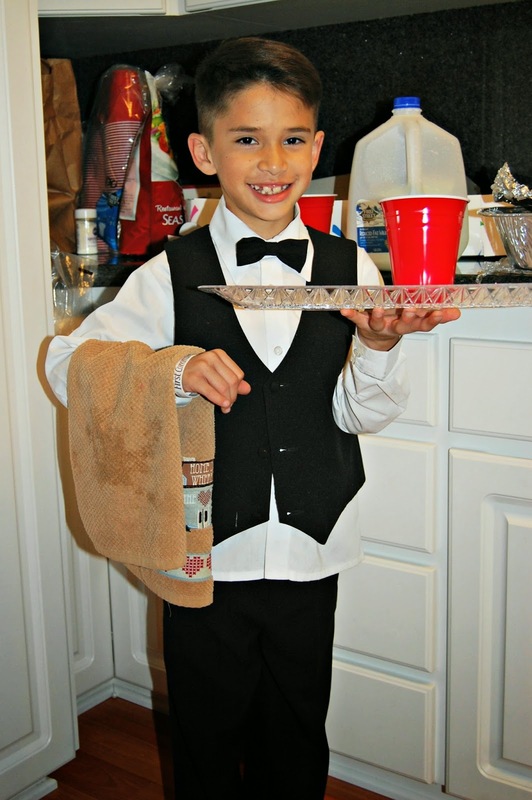 All he wanted was a bow tie because he wanted to look like a waiter.